Our mission is to unlock the potential and enrich the life of every student at the University. One of the ways we do this is by funding and supporting our affiliated clubs and societies, to ensure that all of our members can get involved in the sport or activity they are interested in. 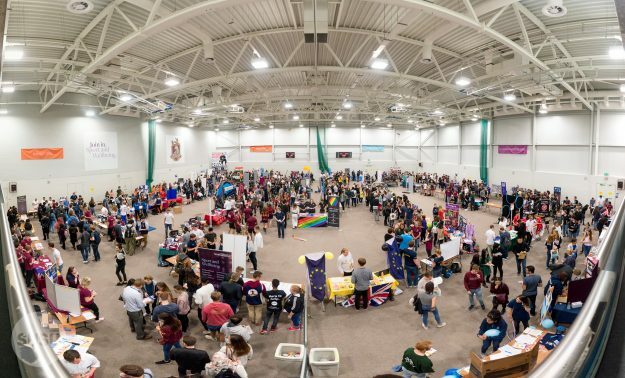 So far this academic year we have allocated £242,401 to our clubs and societies. Last year SUSU placed 9th in this category at the 2018 Whatuni Student Choice Awards. Southampton has also been recognised for the great work with Postgraduate students having also been shortlisted amongst the UK’s top universities for Postgraduate experience. This academic year we have held Postgraduate breakfast clubs, games nights and a Christmas party all free to our Postgraduate students. You can read more about what’s available here.